Facebook's announcement that recent adjustments made to its news feed algorithm would result in a greater emphasis on friends over (rather than brand pages organically) could mean that the social network is once again forcing companies into advertising in order to acquire the impressions, interaction and engagement they've grown accustom to over the years. The good news is that Facebook really understands the type of advertising that drives activiity among its billion-plus member audience and has developed programs and features designed to help marketers capitalize on their often brief moments in the news feed. Facebook Lead Ads, for example, are an effective way to collect information from people interested in a business, and recently launched a few new features to help advertisers grab their attention and increase the performance of that ad format. New "thumb-stopping" carousel and video creative formats are available, for example, as well as an optional context card that appears before the form/call to action (see image below). These context cards can be used to detail why someone should complete a form which can result in the acquisition of more qualified leads. Facebook also indicated that new integrations are available that allow advertisers to pipe leads directly into their email marketing or customer relationship management tools. 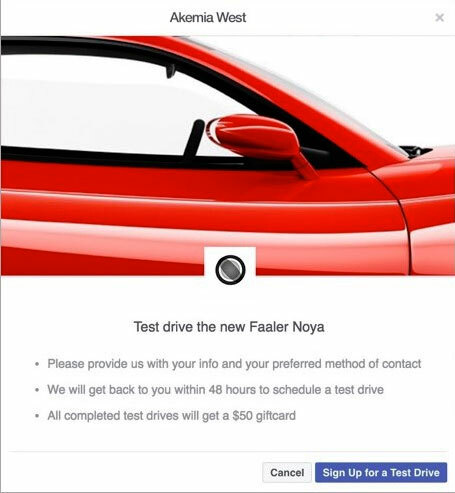 Have you tried the lead generation ads from Facebook and taken advantage of the new features? Share your experience with other Website Magazine readers with a comment below!